The Nike React Phantom Vision Pro Dynamic Fit TF provides precise touch and durability to win glory. A foot-hugging bootie is bolstered with a tough-textured overlay and Nike React technology to create a shoe for the finishers, providers and battlers of tomorrow's game. The Nike React Phantom Vision Pro Dynamic Fit TF provides precise touch and durability to win glory. A foot-hugging bootie is bolstered with a tough-textured overlay and Nike React technology to create a shoe for the finishers, providers and battlers of tomorrow&apos;s game. Great Turf shoe by Nike! Just received these in the mail! Fit: I have really wide feet and normally have to size up to 9, but with these new Phantoms I had to size back down to 8.5. These New Phantoms fit is wide. 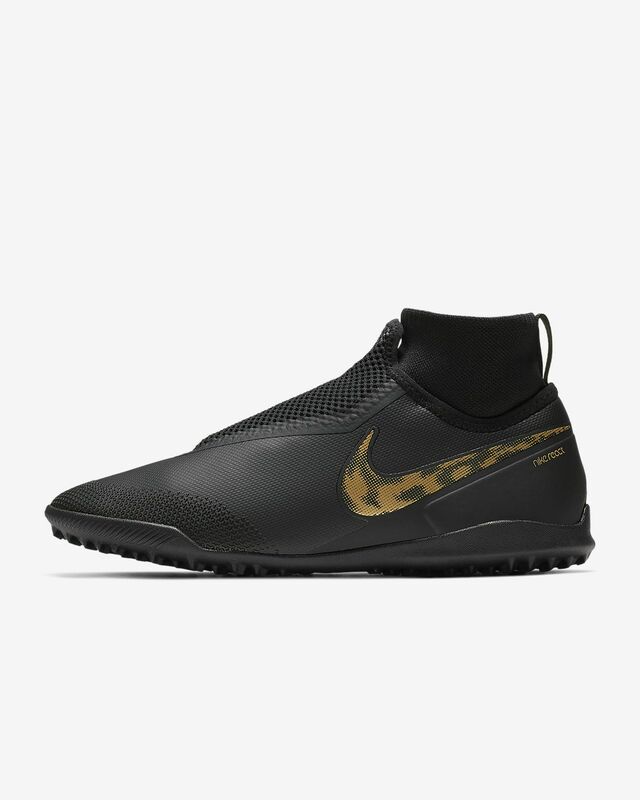 Its very similar to the fit of the original Hypervenom Phantoms (best shoe ever). If you have narrow feet it might look weird since the top part of the material might look and feel loose. The underneath lacing system is unique and allows you lock in you foot for stability. Material: I wouldn't call this the takedown model of the Phantoms, they're more like the synthetic model. I know they make a Flyknit version for the FG's, I don't know if they will be making it for the TF soles. The synthetic really nice and. The instep and toe box have nice rubber grip coating to it. it will definitely help you put spin on that ball. The shoe is made of a 2 layers the synthetic upper and a sock liner with the lacing system. It feels a bit thicker then I would like, but i feel the durability will be very good. soleplate: Im waiting for the 8.5s to come in, so i haven't played in them yet. 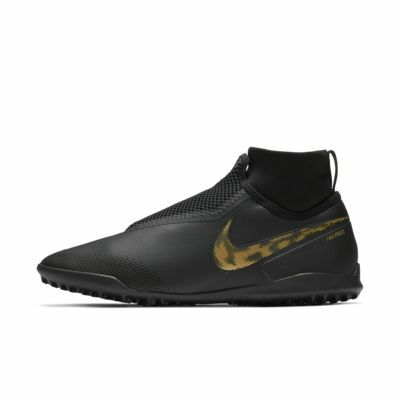 the pattern of the traction is completely new, does not stick out as high like my Magistax. The heel has a bit of a lip to it, I think it will help with stability with your deceleration and not fall on you bum! Not the prettiest shoe, but with wide feet, you buy anything that fits great! I love all the engineering behind it you can see all the creativity but behind it. looks like an NFL football shoe + CTR360. definitely a keeper. sizing maybe a bit weird depending on your feet.